"The trip was much more than I expected! 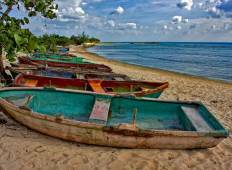 We saw so much and learned so much in the..."
"I went to Cuba with my family. The whole tour was very good organized. I can't complain...."
"I thoroughly enjoyed my tour. My guide was fantastic and made every effort to keep..."
"Our Cuba trip was fantastic, the tour leader Will was so knowledgeable and passionate...."
"Another great trip in Cuba! Loved all places visited and the all the people from..."
"Everything was amazing and well organized. Loved it!" 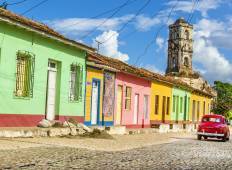 "This tour went beyond any expectations and all our team on the boat was definite..."
"Cuba on a Shoestring - The tour was generally great and was all I expected and more...."
"Amazing and fantastic tour. The people are sooo proud of their country even tho it..."
"Very comprehensive, knowledgeable tour guide who was helpful and lovely and had us..."
"I was uncertain about what to expect in a country that hasn't been open to Americans...."